Washington Gov. 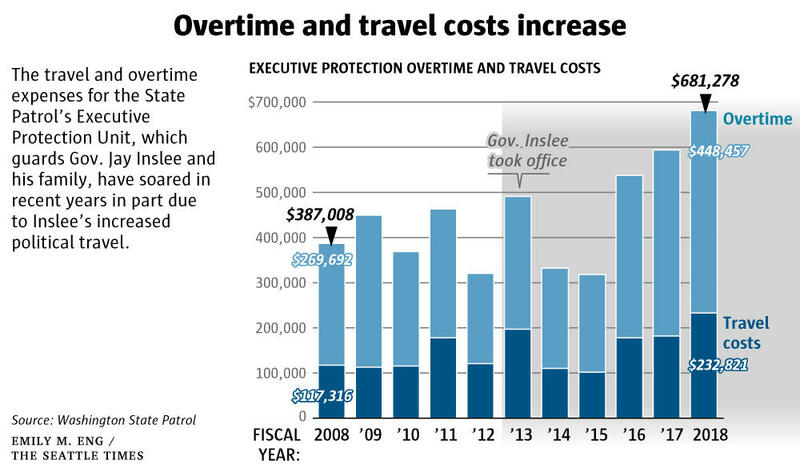 Jay Inslee’s busy out-of-state travel schedule has put a strain on the state troopers who protect him and resulted in a spike in overtime costs. As a result, the Washington State Patrol has requested an additional $1.3 million to protect the governor and first lady over the next two years. 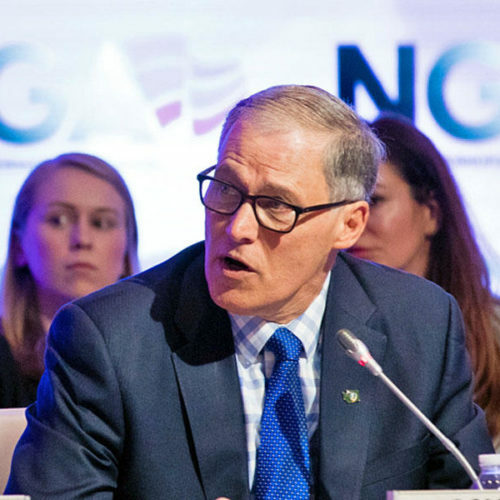 This year, Inslee has crisscrossed the country as chair of the Democratic Governors Association (DGA). His travels have taken him to more than a dozen states, from Hawaii to Maine, often to campaign on behalf of Democrats running for governor. 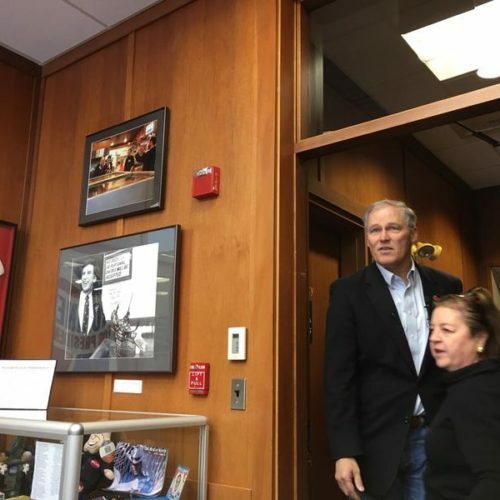 Between January and August, Inslee spent all or part of 49 days traveling out of state on DGA-related business, according to an analysis earlier this year by the public radio Northwest News Network and The Seattle Times. 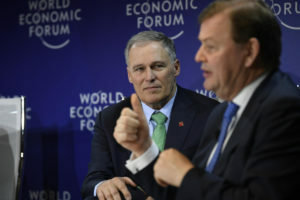 In addition to campaign trips, Inslee also traveled in his official capacity as governor to the World Economic Forum in Davos, Switzerland this past January. While Inslee has traveled a lot more this year as chair of the DGA, his out-of-state forays have been increasing in recent years, according to an analysis by the Washington State Patrol. 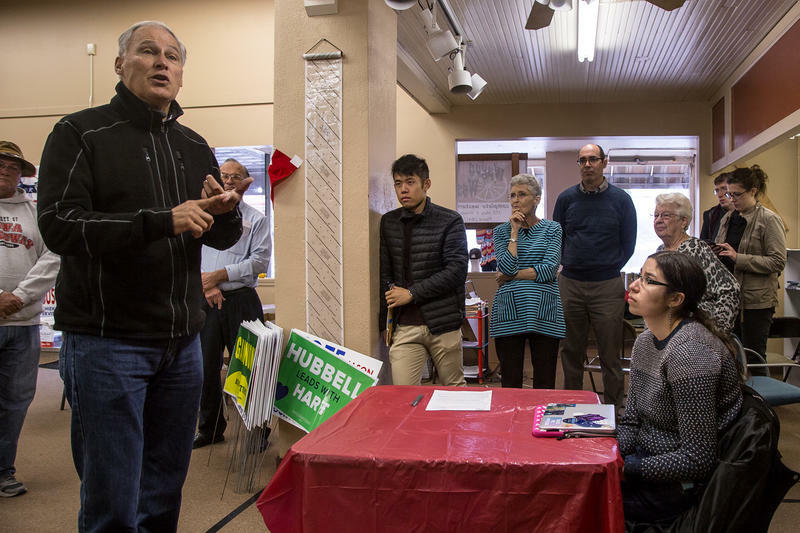 Whenever Inslee travels, he’s protected by at least two plainclothes Washington State Patrol troopers from an elite eight member unit called the Executive Protection Unit (EPU). One trooper typically goes ahead of the governor to prepare for his arrival. The second trooper travels with Inslee and “must sit close to the Governor,” even if that means flying business class, according to a State Patrol budget summary document. “We’re required to provide security for the governor and his family, and that’s what we do,” said Capt. Monica Alexander of the Patrol’s government relations unit. “We are literally sending troops all over the nation with sometimes only a couple days notice,” Sgt. Leonard Crichton wrote. Crichton also noted in his email that in 2013, troopers accompanied Inslee on nine out-of-state trips. 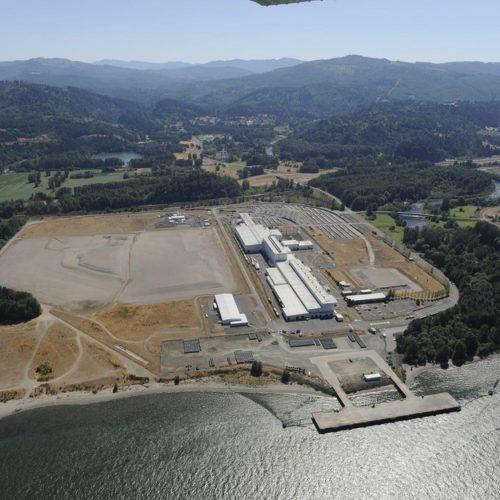 By comparison, the unit had staffed Inslee on 32 trips as of August of this year. 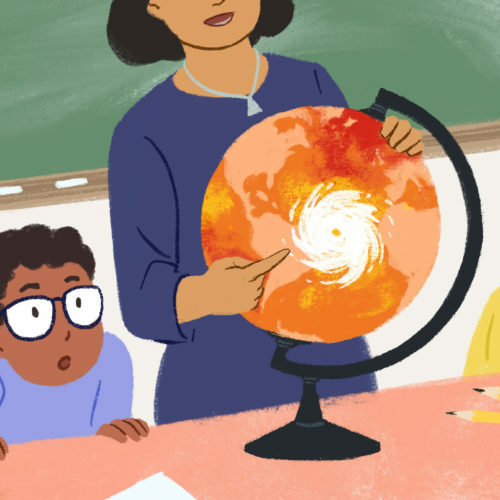 “I am pretty sure we cannot continue at this level without something breaking,” Crichton wrote in his email. He noted that troopers traveling with Inslee often work 18-hour days. Gov. Jay Inslee traveled to Davos, Switzerland for the World Economic Forum early this year. According to the State Patrol analysis, overtime and travel costs for EPU troopers more than doubled between fiscal years 2015 and 2018. Some of that increase was attributable to a pay hike troopers received, but much of it was because of the increase in travel. Records obtained by the Northwest News Network and The Seattle Times showed that in July alone, two troopers whose duties included accompanying Inslee on separate cross-country political trips each logged more than 90 hours of overtime. That overtime was worth more than $12,000. 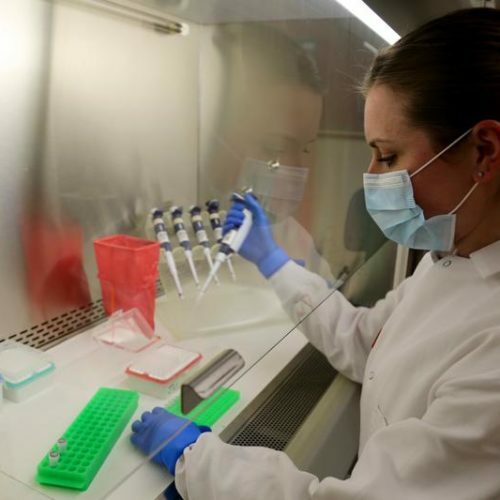 In fiscal year 2018, EPU overspent its $2.6 million budget by $400,000. Overtime and travel accounted for 62 percent of that higher-than-allocated spending, according to the Patrol’s analysis. Spending by EPU increased by more than $1 million since fiscal year 2015. 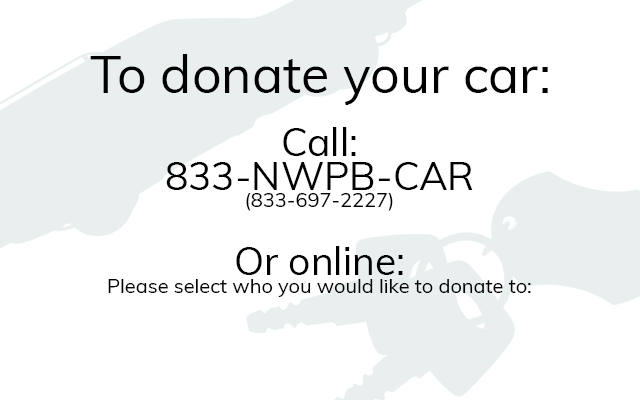 But it’s not just out-of-state travel that’s putting pressure on the troopers and their budget. Another factor, according to the State Patrol, is the fact that Inslee and his wife Trudi often leave the governor’s mansion in Olympia to spend weekends on Bainbridge Island. “[W]e are responsible for two different residences that are both frequently used which again cost money and requires logistical/scheduling challenges,” Crichton wrote in his August email. Those challenges include the fact that troopers sometimes need to book a room at a nearby motel when the Inslees are at their Bainbridge home. Smith acknowledged 2018 has been a “busy travel year,” but said Inslee’s out-of-state trips tend to ebb and flow depending on the year. The budget for the Executive Protection Unit has also remained mostly unchanged for much of the past decade, Smith said. She added that protecting the governor wherever he is and whatever he’s doing is a cost the State Patrol must incur. 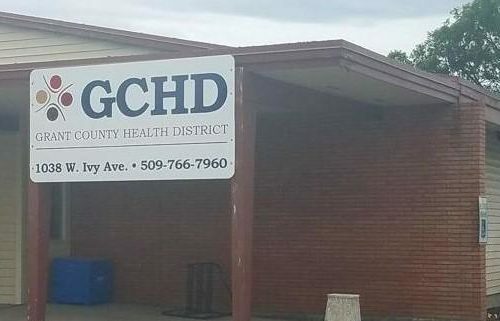 “Whether he’s out and about as governor, whether he’s out and about as grandpa hanging out with his kids, or if he’s out and about campaigning as head of the DGA, they’re there to make sure he’s secure 24/7,” Smith said. 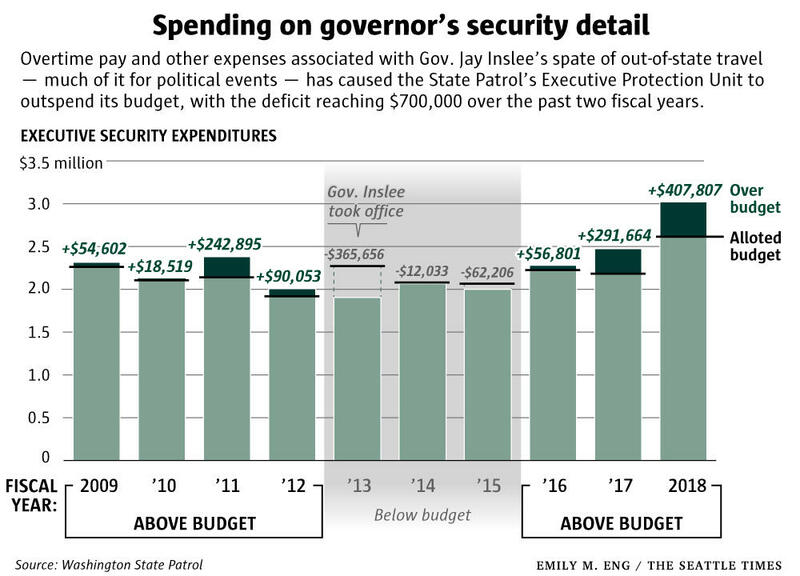 According to the State Patrol, Inslee’s proposed budgets in 2014, 2017 and 2018 included budget increases for EPU, but they weren’t funded by the Legislature. In fiscal year 2018, EPU’s budget did go up by approximately $600,000, but that was to cover the cost of negotiated pay increases for all state troopers and related personnel costs, and not for overtime and travel costs. Inslee isn’t the only Washington governor to serve as chair of the DGA. Former Gov. Chris Gregoire served in that role in 2009. Inslee’s also not the first governor to maintain two residences. Former Gov. Gary Locke, also a Democrat, maintained a home in Seattle during his two-term governorship beginning in the late-1990s. Locke, however, recalled that the troopers dropped him off at his house, but didn’t stay with him throughout the weekend. The DGA covers the cost of Inslee’s travel on behalf of the organization, but taxpayers foot the bill for the troopers who accompany him. Those trips sometimes involve last-minute flights and pricey hotel rooms. Expense records reviewed by the Northwest News Network and The Seattle Times showed that a trooper who accompanied Inslee on that trip had to change his return ticket and ended up booking a $1,254 one-way return flight. According to the State Patrol, that costly last-minute change was the result of the original flight being cancelled due to weather — and the need to re-book on a different airline to accompany the governor on the next flight out. Expense records also show that troopers traveling with the governor have on occasion rented bikes and skis to accompany him on outdoor adventures. And, in New York, a trooper had to pay $185 to the New York Police Department to reclaim a rental car that had been impounded. The car was towed when the trooper in charge of preparing for Inslee’s arrival at a location parked in a no-parking zone, a patrol spokesperson said. 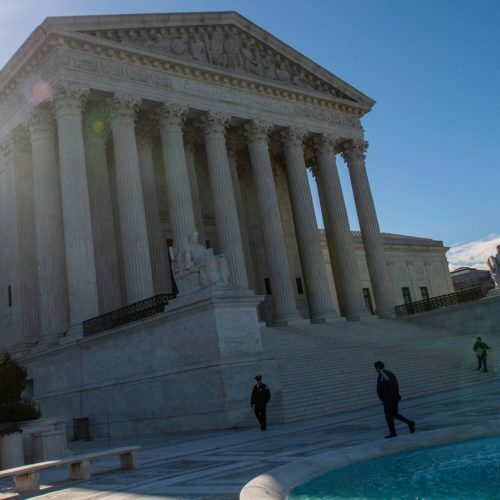 This year, the DGA raised a record $63 million, according to an October news release, and Democrats picked up seven governorships previously held by Republicans during the midterm election. Inslee will soon relinquish his DGA chairmanship. Even so, for the upcoming biennial budget, the State Patrol is requesting an additional $1.3 million for EPU. That money would add a ninth full-time trooper to the unit and cover overtime and travel costs, which the State Patrol anticipates will increase, not decrease, in the coming two years. “This is beneficial to all concerned as exhausted troopers put themselves and the Governor at risk,” the State Patrol wrote in its budget request. 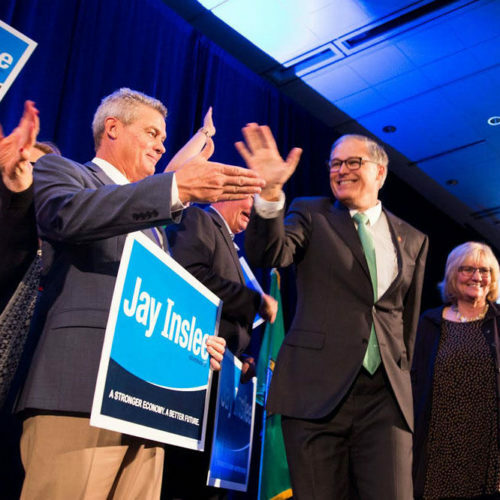 Inslee is frequently mentioned as a possible candidate for president in 2020. Both the State Patrol and Inslee’s office, however, said that future travel estimates are not a signal that Inslee is running for president. “I don’t think this is something that we’re looking at — whether he’s running for president or not — but just whether he’s going to maintain the schedule he has had since he’s been in office,” the State Patrol’s Capt. Monica Alexander said. 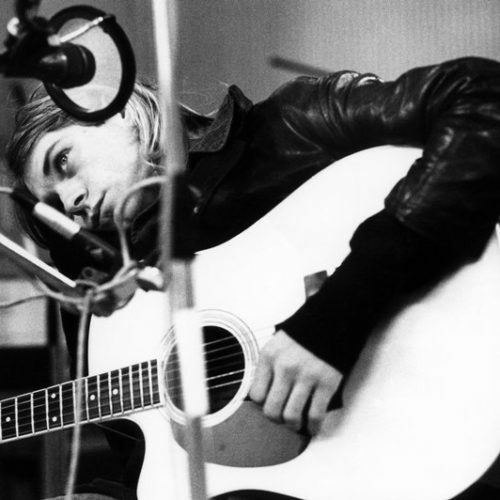 This story was reported in collaboration with The Seattle Times.